Thank you for taking the time to visit our website. Our goal at Dr. Hannahan''s office is to provide patients with the best endodontic treatment in a caring, comfortable, and relaxed environment. Communication is paramount to achieving this goal. 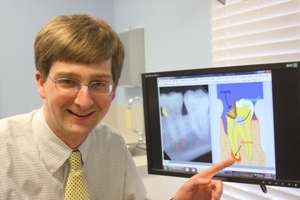 This website is designed to provide you with information related to both our office and endodontic therapy. Please take a moment to learn more. We encourage you to register online before visiting our office. Please call our office for your secure patient login user ID and password. Let us take a moment to provide you with information to increase your understanding of endodontics and aid you in making treatment decisions. If you have questions or concerns at any time, please call the office at 1.877.481.7804.
difference attention to detail makes. For your convenience, we gladly accept Visa, MasterCard, Debit Cards, and Cash. We are also pleased to offer CareCredit to help you finance your investment in your teeth. Our office offers 6 months No Interest payment plans for those who qualify. We are no longer able to accept Personal Checks. "This was the best dental experience I have ever had. Dr. Hannahan and his staff were top notch. No pain and made me feel like I was part of the family! I HIGHLY recommend and will never go to anyone else!" -Justin S.
“My entire experience was top notch. From arrival to departure, I was treated with the utmost respect and professionalism. Every step of the way, everything was explained thoroughly. Upon leaving, I felt as if I had the VIP treatment. My thanks to the entire staff!" -Brian P.
“Wonderful experience, even though it was a root canal, (I) would come back again if I need another." -Debra N.
“Best dentist trip ever! !” -John M.
“Could not have been more pleased or satisfied with (the) care that I was given. First time visit(ing) and (I) was treated as if I had been there many times.” -Tony D.
“Your staff was very nice and very helpful!! I was a little nervous at first, but once we got started all that went away!! Thanks again for the great care! !” -Tyler E.
“I was very pleased with the service & care I received from Dr. Hannahan & staff. Yall made what I was told would be a very unpleasant experience very easy.” -Andria H.
“Every aspect of my visit was great! The best service ever rendered by a physician of any kind. Thank You!!!!!!!! I will recommend you to anyone I know in need of your services.” -Valra G.
“I would definitely recommend this Dr. to the youngest child I know, he was really pain-free and a pleasure to actually be around and I have NEVER said that about anyone working on my mouth…The entire staff was truly a blessing to me in disguise…they calmed my nerve(s) and my fear(s)…I will definitely, if need be, be (going)back to him again...Thank you so much for your caring and concern in my time of need…” -Shelia W.
“Thanks, you guys are great!” -Carol E.
“Dr. James P. Hannahan, D.M.D. has a very trained and professional staff that makes you feel relaxed and like you are at home. Dr. Hannahan is very detailed in explaining the procedure before starting a procedure. And Dr. Hannahan is very polite, courteous, and thoughtful to take the time to personally contact the patient by phone to ask how the patient is doing after the procedure. I just thought that was very considerate, because I have never known a Doctor to take time out of their busy schedules to do that. I am very impressed! And I will recommend this dentist to anyone.“ -Greg E.
“I appreciate the care I received before, during and after my root canal. I am blessed that I have had no pain since the procedure ... I especially appreciate Dr. Hannahan following up with a phone call to me the night of the procedure. My experience was a good one and I thank Dr. Hannahan and his staff for their professionalism in the care I received.” -Sarah J. “Thank you very much Dr. Hannahan, Darcy and both dental assistant ladies! Once I came to your office everything was much better. I have not had any problems since!!! I will gladly recommend you all to anyone! I will come back for #13 soon. Many thanks." 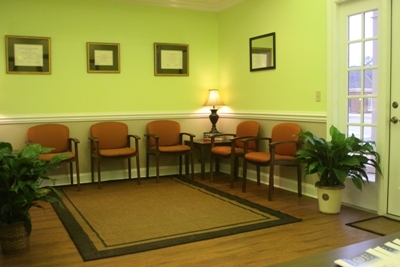 -Dawn K.
“I will highly recommend your office to my Peers. I have also advised my dentist that your entire office was AWESOME. Thanks for taking care of my tooth in a timely manner.” -Marieta N.